Eugene Hütz’s belligerent snarl has never been particularly easy on the ears, and when paired with Gogol Bordello’s hodgepodge of punk and traditional Eastern European influences, it’s often downright bizarre. On Trans-Continental Hustle, the group’s fifth full-length album—and first major-label release—this aggressive weirdness isn’t tempered in the slightest. From the outset, the band dares you to stomach a freakish amalgam of maniacal instrumentals and tempestuous beats without any apparent regard for aesthetic development; in opener “Pala Tute,” Hütz greets listeners with Slavic folk guitars, a vigorous beat and a thick Ukranian accent, yet hurriedly rushes into that all-too-familiar hostility and ostentation that comprises the rest of the album. 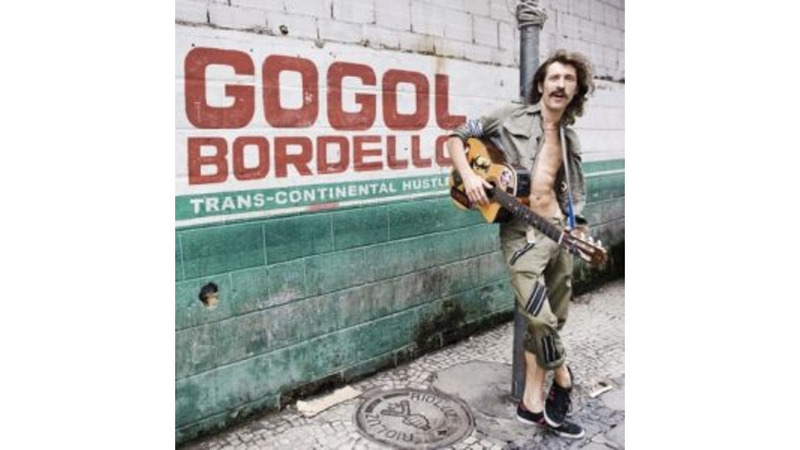 It seems Gogol Bordello is still stubbornly clutching for the inventiveness of earlier records like Gypsy Punks: Underdog World Strike and Super Taranta! without truly progressing, leaving us with a Rick Rubin-adorned imitation of their visionary past work.